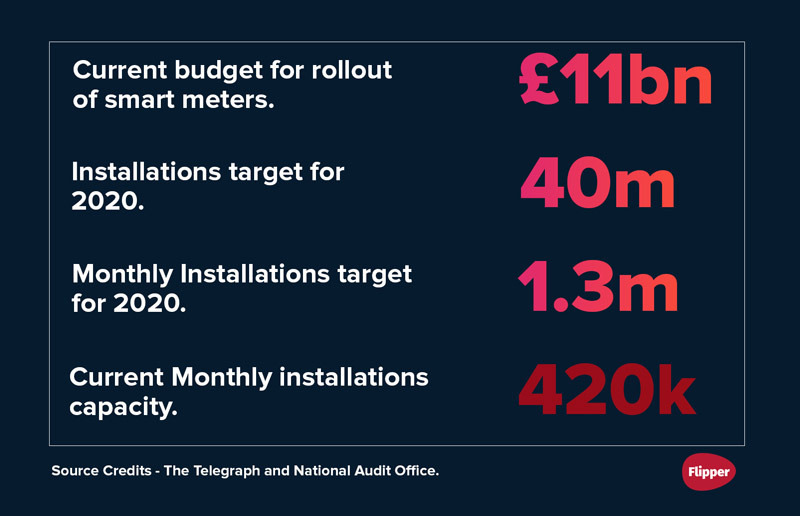 The Telegraph announced that the smart meter roll out across the UK is going to add a massive £500m to energy bills. Ministers stated the total planned budget will be £11bn, which is £374 per household and that this will be paid for by consumers through higher energy bills. The National Audit Office (NAO) published that this cost is likely to go over by around £3b resulting in the average household paying up to around £100 for their smart meter. 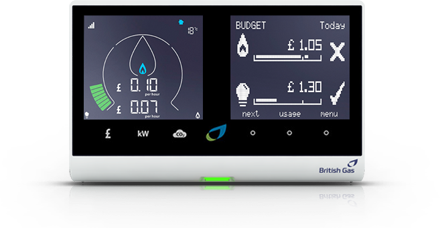 The NAO also estimated that smart meter owners will only save around £18 a year for the next decade (2030). To avoid fines from the government, suppliers are already struggling to install around 420k meters every month, and with a deadline to install 40m by 2020 at a rate of 1.3m a month which is 3 times faster than they are currently rolling them out at - it really is hard to believe they'll get there and within budget. So overall not the best outcome for bill payers. The downside to smart meters. It get's worse... Not only will the cost of smart meters be recouped by the bill payers, but as much as 70 per cent of the 12.5 million smart meters installed so far will go ‘dumb’ if you switch supplier. That's around 9m smart meters that will need replacing again, starting the whole cost cycle over again onto the bill payers. With so many people continuously switching to be on their best deal, these meters need to be compatible with all suppliers - which they currently aren't. So should I say no to smart meter? Rather than weighing up the advantages and disadvantages, our advice is to keep switching suppliers no matter what meter you have and don't hesitate if you think it won't be compatible after switching. Your supply will remain exactly the same and smart meters don't technically save you any money, they simply monitor your usage and if your usage goes up your bill will reflect this. Taking your own regular meter readings before or after a smart meter has gone 'dumb' is really simple and takes just a few seconds once you know how, (here's our guide on how to take a meter reading) and this makes sure the supplier is always up to date with your usage so you receive an accurate bill rather than an estimate. Your supplier will send you reminder emails to do this. Flipper is the first energy auto-switching service. We continuously monitor the market and will switch you automatically to the best supplier every time we can save you at least £50. (Our average is much higher than that at £385). We don't take a single penny from suppliers and choose to work independently to avoid having any favourite suppliers or tariffs - which are usually influenced by commission on other comparison sites and switching services. Instead we charge a membership fee, which means we work for you and you only. We manage the whole process for you and we are able to switch to more suppliers, more regularly. Why not take at look at how much you can save with Flipper - In less than 2 minutes, you can put the hassle of switching and the thought of overpaying out of mind for good.